Fans of the British royal family and those of us anticipating the big wedding in May now have a clearer idea of what we can look forward to. Prince Harry and Meghan Markle will officially tie the knots on May 19, we know that much. We also know that the venue of the wedding ceremony itself will be at St. George's Chapel. Now, new information about the big day has come to light. 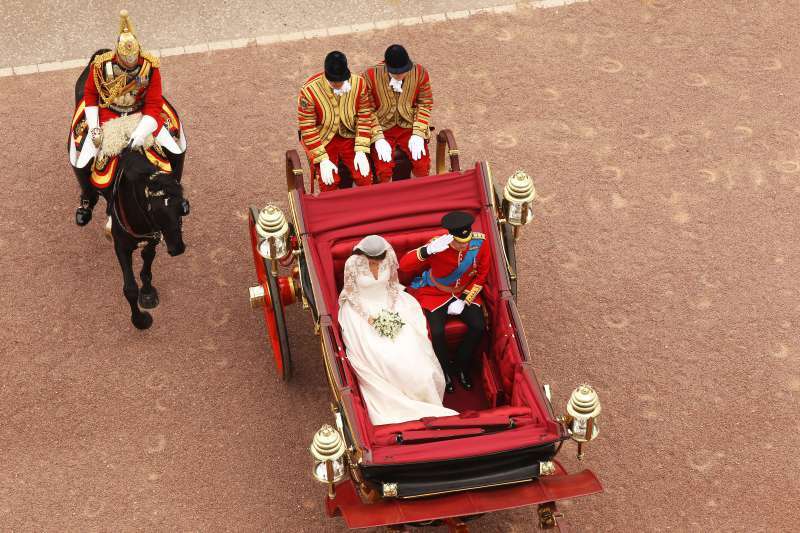 On Sunday, February 11, Palace officials confirmed that after they exchange their vows, the newlyweds will ride in a horse-carriage through the streets of Windsor. There have been earlier reports that Prince Harry and his bride may want to keep their event small. But as it turns out, like Prince William and Kate Middleton's carriage ride through London, there will be a romantic highlight to look forward to in this case as well. The Palace also revealed that the service will begin at 12:00 pm UK time. The carriage procession will depart an hour later. Another detail that was released to the public was that Prince Harry and Meghan Markle will be joined in matrimony by the Archbishop of Canterbury, The Most Revd and Rt Hon Justin Welby. They hope this short journey will provide an opportunity for more people to come together around Windsor and to enjoy the atmosphere of this special day. The prince and former American actress began dating in 2016. They announced their engagement in November 2017, after which they shared some gorgeous photos to celebrate the special occasion. It was reported by Kensington Palace that the couple decided on Windsor as their wedding venue because it was a "special place for the two of them." The wedding is set to take place about a month after the Duchess of Cambridge's baby is reportedly due to arrive. So, there will very likely be one more tiny addition to that coveted guest list. Speaking of the invitees, there is no final word yet on who's coming and who isn't. Perhaps, this info will be made available in due time. Or, we will just have to wait until the big day to know who is on that guest list.